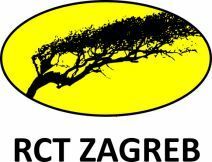 Rehabilitation center for stress and trauma (RCT) was founded in Zagreb, Croatia in 1993 as a project of the International Rehabilitation Council for Torture Victims and became independent non-governmental organization in 1998. Over the years RCT collected extensive experience in working with refugees, internally displaced persons and returnees, particularly torture survivors offering psychological and medical rehabilitation as well as supporting their integration. RCT is founder of Balkan Network for the Prevention of Torture and Rehabilitation of Victims (BAN) which gathers rehabilitation centers for torture survivors from Balkan countries. In the postwar period, the focus of RCT’s activities are long-term effects of war and trauma on the individuals, groups and communities, rehabilitation of torture survivors and civilian war victims and their integration into society. Our work in the war-affected communities in Croatia aims to contribute to social reconstruction and building of the community social capital. Since 2005 and more intensively in recent years RCT works in rehabilitation and integration of torture survivors and traumatized asylum seekers and refugees in Croatia, offering psycho-social services, language courses, support in labor market and social integration. Südwind, Association for Development policies and global justice, is an Austrian Non-Governmental Organisation. For almost 40 years Südwind, is advocating for a sustainable global development, Human Rights and fair working conditions across the world. Through curricular and extracurricular educational work, the publication of Südwind Magazine and other related publications it ensures that the issue of global dependencies and their consequences remain part of the public discourse. Südwind enforces its commitment for a fairer world also through public awareness raising and its campaigns in Austria and at European level. The issues of global migration, refugees and asylum have been taken up in Südwind´s awareness raising campaigns and capacity building activities through many years. Südwind is especially experienced and working daily on global and intercultural learning in diverse schools and youth work settings as well as settings with communities and politicians. In WELCOMM Südwind leads capacity building work streams and supports implementation of other activities focused on networking and shared learning. CESIE is a non-governmental organization, established in 2001, inspired by the work and theories of the Italian sociologist Danilo Dolci (1924-1997). CESIE contributes to the active participation of people, civil societies and institutions through the implementation of projects on various thematic areas, towards the promotion of growth and development, always valuing diversity in the respect of ethics and human development. The organization is dedicated to the promotion of research and development as to increase and improve future-oriented innovation processes in educational, social, economic and cultural spheres. CESIE is strongly committed towards the integration of migrants, refugees and asylum seekers into the local community through our daily work in one of the most multicultural areas of Palermo: training activities aimed at increasing employability skills; socio-cultural actions and awareness campaigns; language courses; seminars on intercultural dialogue etc. We have a broad in working as coordinator and partner projects under EU Programmes: Erasmus for Young Entrepreneurs, ERASMUS+, Daphne III, Europe for Citizens, TEMPUS, ENI, Horizon2020, DG Justice, DG Home. 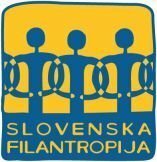 Slovene Philanthropy, Association for Promotion of Voluntary Work, is a humanitarian organization operating in public interest since 1992. Our programs focus on increasing the quality of life in the community and advocacy for the socially weak. Our organization has also more than 25 years of experience in working with refugees and migrants, in psychosocial help provision, legal counselling to different groups of migrants as well as in awareness raising and advocacy in relation to refugee and migrants’ needs and rights. In addition to concrete provision of different services, it has long-standing experience in strengthening of the system for service provision and protection for refugees and migrants i.e. in mobilization and capacity building of the local service providers and all related stakeholders (helpers, teachers, mental health professionals, and legal guardians to unaccompanied minors, refugee shelters employees, volunteers, and other related). Besides experience in the area in Slovenia, Slovene Philanthropy has long experience in implementation of the programmers with similar approaches in the countries affected by armed conflicts or natural disasters. 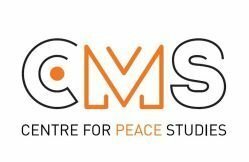 Centre for Peace Studies (CMS) is a non-governmental organization established in 1997 in Zagreb, Croatia. For the last 20 years CPS has been working on many peace-building, education and human rights programs in Croatia and Balkan region. In our work we use different methods, from collaboration and support, advocacy, public policies work, research, education, direct work with refugees to direct confrontations with the government. We are a watch dog organization believing that monitoring of the government policies from civil society perspective is a crucial balance of power for a healthy democracy. Although we have been working on asylum, integration and migration topics since 2004 our work was particularly publicly recognized during autumn 2015 when CPS has established independent citizens’ initiative “Refugees Welcome”. 500 volunteers were active in helping thousands of refugees passing through or staying in Croatia.